Our Wise Owls Have Graduated! 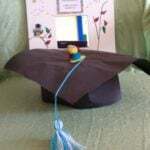 A very big well done to all of our Wise Owls who graduated this week at both nurseries. The children put on a fantastic show for our parents and there were lots of proud smiles and teary eyes all round. We are so proud of how ready our children are for school and cant wait to see them in their uniforms and hear all about their big school adventures. Thank you also to our amazing teams of ladies who worked so hard to help organise and support the children with their performance. Another proud celebration for our Little Pips Nurseries!